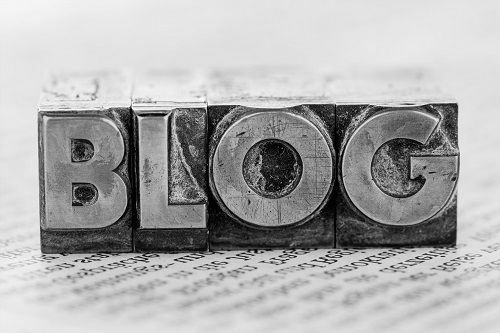 A company blog can deliver real benefits for your business, and should normally be a key part of your marketing plan – but sometimes it can be hard to keep coming up with topics that showcase your business. Here are some of the tricks that we use to generate content for our clients’ blogs. One of the best ways to tell people about upcoming company events, meet-the-team profiles and new promotions is to write a blog about them. Promoting your company news on social media will get your message out there and increase awareness of your brand. It also creates a more personal side of your business if people can see what you’re up to. People want to know whether your product or service is worth their money; what better way to assure them it’s well spent then getting an independent opinion. Testimonials are perfect for solidifying your brand and creating interest amongst your potential customers. It’s all well and good creating blogs about your company and why you’re so great, but you need to balance promotions with insights that establish you as an expert people can trust; building trust with your targets will increase your brand value with them in a way that just selling to them will never achieve. Think of relevant topics that you readers could benefit from; what can you share with them that will add value for them? If you’re a painter and decorator, what DIY tips can you share? Yes, you’re giving away your expertise – but when they decide they’re too busy to do it themselves, they’re more likely to call someone with whom they feel they have a connection than someone they’ve never heard of. So people can get an idea of what your product does and how it can benefit them, you could create blogs with images showcasing its specifications and how it can be used in practise. You can go into more detail than you might on your general product pages on your website, which can increase interest in your product. To show people the dedication you have for your clients, you could create blogs around their successes. This shows you go above and beyond just providing them with a service or product, helping to create a more positive perception of your company.